According to a new DigiTimes report, Apple’s component suppliers recently received initial orders for parts that will end up in about 15 million iPhone 5 units. The timing of the order seems to indicate that the device will launch in September, as previously reported. The news originates from one of the suppliers, Pegatron, which became an iPhone parts supplier shortly before the launch of the Verizon iPhone 4 – the company provided parts to help build at least 10 million units. Since then, Pegatron has been wooing Apple to build parts for iPads and MacBooks as well, and eventually landed a contract for iPhone 5 parts. 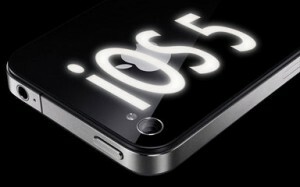 According to the Digitimes report, suppliers seem to be hinting that the iPhone 5 will not be a major iPhone redesign, but will in fact be much closer to an iPhone ‘4GS’. The iPhone 5 is expected to sport the same A5 processor found in the iPad 2, and its camera will be able to take pictures of up to 8 megapixels – in comparison, the iPhone 4 features the A4 processor introduced with the original iPad, as well as a 5-megapixel camera. The iPhone 5 allegedly entered the final stage of its design phase last month. The device will come pre-loaded with iOS 5, and should offer a slew of improvements, such as a vastly improved notifications system, Twitter integration, better Safari and Mail apps, the new iMessage service, iCloud integration, improved multitasking, and better overall responsiveness.